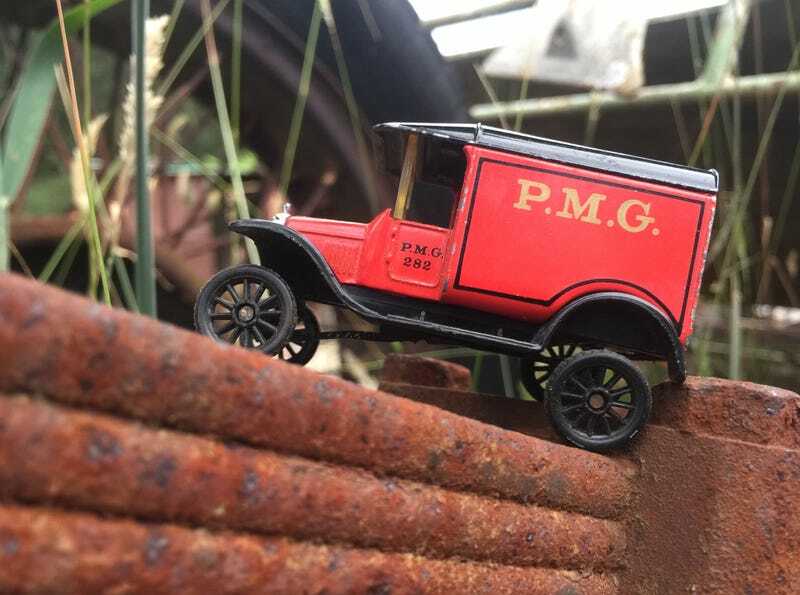 Here’s an old Matchbox Model T I grabbed because of the local postal livery. Was going to go down the hot rod route but instead went with a stock but functional look. The original wheels and axles are reused in some custom plastic axle housings and attatched to some small plastic leaf springs. Seems to work like a bought one.